Looking for a slightly offbeat wedding? Then how about going through some Gothic wedding ideas to get you started? Not everyone dreams to have a traditional wedding with a white wedding gown, ribbons and confetti. 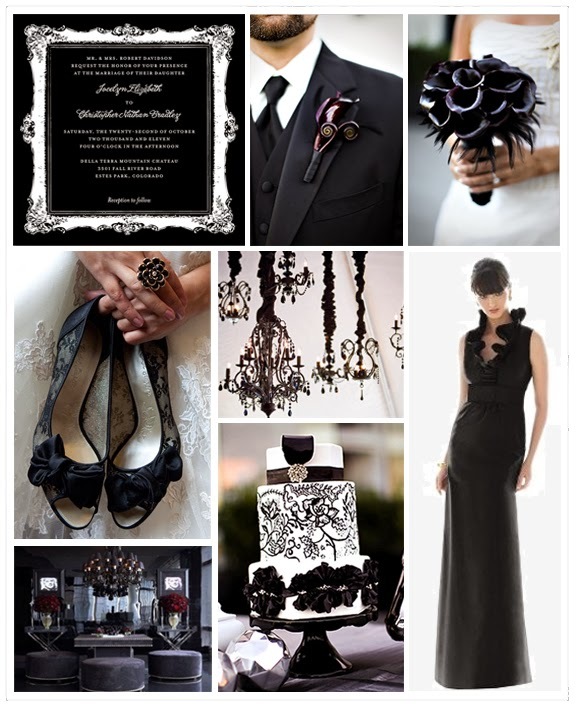 A Gothic wedding is for a couple who loves the Gothic theme. 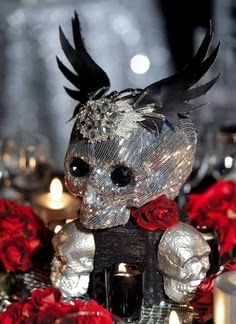 To have a Gothic themed wedding, you need to make sure that your ideas are subtle and not too over the top. Before going ahead with this type of wedding, make sure that both you and your partner are okay with it. Many times the parents of the bride or groom will have an objection to such a wedding and it is best that you talk to them. Remember that although it is your wedding day, your friends and relatives are also equally important. If everyone is happy to have a Gothic themed wedding, then you will need some Gothic wedding ideas to make the wedding great. Here we are going to discuss some Gothic theme wedding ideas. For the best Gothic wedding, you have to see to it that each element of your wedding from the food, wedding decorations and wedding dress incorporates the Gothic theme. Here we are going to discuss these elements one by one. Gothic wedding dress will of course be very different from the traditional white wedding dresses. 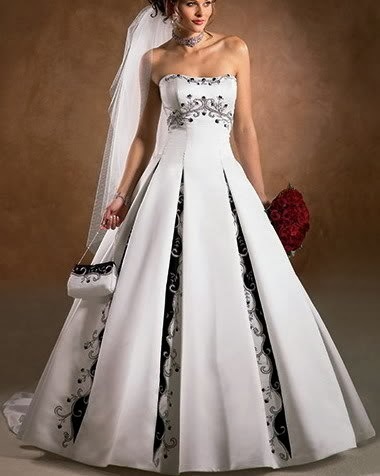 Black, Purple and red are some of the main colors that are used in Gothic wedding dresses. You can choose from simple A-line dresses with ruffles at the bust and shoulder to the more flamboyant 50s style gowns with lace trimmings. 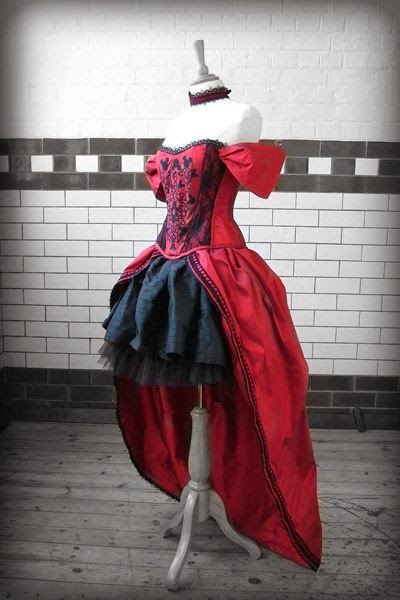 A corset pattern for the bust is one of the best ideas for Gothic wedding dress which is also very fashionable. You can choose from a long train that trails behind you or a black lace veil. Any floor length designer gowns like that of Alexander McQueen or Valentino or even Roberto Cavalli in a dark hue can be worn as Gothic wedding dress. The wedding dress should be perfectly complimented with Gothic makeup. Also make sure that you choose Gothic wedding rings for the wedding. 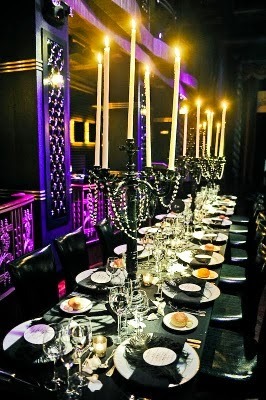 There are many great ideas to decorate your wedding in the Gothic wedding theme. If you have the budget, you can book a wedding venue like a medieval castle or a Gothic architecture style manor. This type of venue will give your Gothic wedding a great authenticity and ambiance. For wedding centerpieces you can use a big pumpkin or a group of pumpkins and carve them into jack-o-lanterns. Orange and red colored candles that are used as centerpieces along with a big pumpkin is also a great Gothic wedding decoration idea. You can also use regular floral centerpieces too, but make sure that you include black roses, purple orchids, orange lilies or orange poppies. You can also make some cut outs of vampires, bats and witches in brooms and stick them on the walls. Masks, red and purple colored table cloth and black confetti all make good Gothic Halloween wedding ideas in terms of decorations. 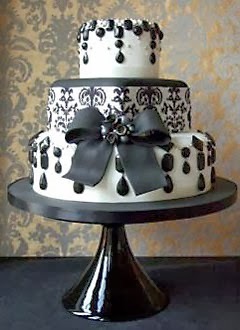 When you are having a Gothic wedding, you will need a wedding cake that has the same theme. There are many stunning Gothic wedding cakes. 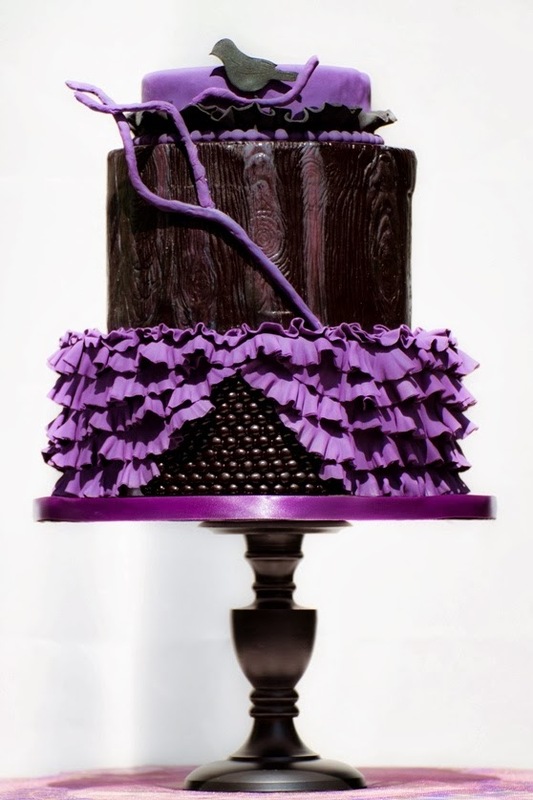 A rich red velvet cake or a dark chocolate cake with royal chocolate icing are some great Gothic wedding cake idea. You can even choose a white fondant cake which is decorated with black currants and red strawberries and cherries. A red wedding cake or a purple colored wedding cake with crystallized flower petals on top will look simple stunning for a Gothic wedding. You can ask your guests to come dressed up in some Gothic costumes. Gothic weddings are very popular with some couples who wish to make their wedding a unique one and you can use these ideas for your wedding as well.